Michelle Murray is an award-winning performing songwriter in the Maryland D.C. area. She plays a combination of originals and covers that span genres including Americana, Folk, Bluegrass, Country, Singer Songwriter and a touch of the blues. Michelle’s latest EP release, “This Life, My Life,” was released in March, 2018. This EP includes songs recently signed to several prestigious music publishers. Her earlier EP, “Coming Home”, was released in September 2015. Michelle has received multiple Wammie (Washington Area Music Award) nominations including a nomination for Best Contemporary Folk Recording, Best Contemporary Folk Duo/group, and Best Country/Bluegrass band. An accomplished lyricist, several of Michelle’s songs have recently been signed to various publishers and libraries for Film and TV. 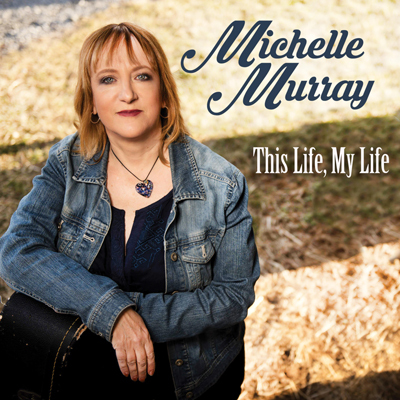 Several of Michelle's songs have received airplay and recognition on numerous radio stations and programs including WERA-FM on the Music Alley Radio show, MyRuralRadio.com, Women of Substance Radio, NWCZ radio, and WETA-FM. One of her songs "Married Women" was selected as an Editor's Pick on Washington Post MP3's web site in the In addition, her song "Wandering Heart” won an honorable mention in the Song of the Year contest. Michelle has performed in various venues and festivals in the Washington D.C. area, including Bethesda Blues and Jazz Club, The Barns of Wolf Trap, Gypsy Sally's, The Takoma Park Folk Festival, The 9 Songwriter Series, The New Deal Café, Jammin Java, Focus Music Concert Series, Mountain Stage New Song Festival, Washington D.C's Fete De La Musique, and the Artomatic Arts Festival in Washington D.C. This EP is a product of collaborations with other songwriters. Several of the songs on this EP have been signed to prestigious music publishers, and several musicians contributed to this album including Jeff Karn on Mandolin and vocals, Evan Sands and Shayne Greene on Banjo and Stephen Eckstrom on harp. Scott Free co-wrote and produced the album, and Michelle Leverette co-wrote the other songs. Terry Blackwell also co-wrote and produced one of the songs, "Love is Endless."